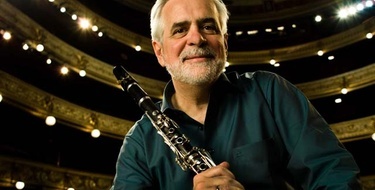 Charles Neidich shares his ideas and philosophies about how to play the clarinet. Suitable for beginners to advanced players, these lessons cover the whole fundament of clarinet playing and a unique artist’s approach to playing this wonderful instrument. Get to know your partials and get a much better control of the clarinet. Building a firm yet flexible embouchure is easier said than done, but Neidich has some great exercises that help it along. Learn how to become more aware of how crucial a good posture is and how it can affect your playing. Get a handful of exercises of how to develop and optimize your breathing and blowing, the very fundament of your playing. Neidich is famous for his flawless technique and he has some special and specific ideas of how you can get a more relaxed and fast finger technique. Neidich shares exercises of how to get rhythm in and sub divide with your fingers. "If your body works all together at the same time everything will actually be at the same time"- This explains how to get there starting a note. Every tongue a bit different but Neidich gives some tips on what he strongly believes will help you in building a better and faster tonguing technique. What is a downbeat? What is an upbeat? This is the core of any musical expression, a core subject to Neidich, and hopefully for you as well. Get a straw and a glass of water ready. Time for you to develop circular breathing so you can play endlessly long lines and phrases. "Don´t double tongue repeated notes to start off with" – If anyone knows about extended techniques it´s Neidich. Here he shares double tonguing which can be a very useful tool when playing demanding passages. One of the most thorough and useful lessons on the fundamentals of playing the clarinet – every clarinet player should watch! An excellent insight into the sound production and thinking of one of the most knowledgeable clarinet pedagogues. I have come back to this video a few times as it has a lot of detail. Highly recommended! Nedich's sound is wonderful and the production of this video is great. This first chapter of this video--"Partials" is the most interesting one to me. Every clarinet players should learn about it. This masterclass is very usefull. Charles Neidich is very inspiring teacher and these fundaments are very helpfull. I always have been watching this master class video since it came out and I still watch it. It is extremely useful and gives me wider view on my clarinet studies. Very useful, I watch it once in a while as a reminder of fundamentals. Some things may seem obvious when you hear it, but you need to hear it first. This is a good place to go to when you run into some trouble and need to go back to fundamentals. Extremely useful. A must-have for clarinetists! Really great information - it's nice to have a lot of Neidich's ideas on clarinet playing and music in general in one place. His ideas were very helpful to me, and I watched this title many times. These videos are amazingly useful for clarinet players of any level. Charles Neidich is a true master of his craft. I learned so much through his comments and analogies. particularly useful are the sections on circular breathing and double tonguing. This recording is priceless. Thank you Adam!. A real treasure. I learned so much from this Masterclass. Neidich inspires as he brings clarity in topics often find difficult to explain. Although you have to watch and listen more than once in order to really understand each little detail it helps you advance your skills. As it is difficult for me to join a face-to-face Masterclass with Neidich himself (I am living in Germany) this video was absolutely worth its purchase. It's really helpful for me. I found new perspectives for playing the clarinet from this videos. Thanks a lot. The concept of the partial is really helpful for altissimo register. Amazing musician and inspiring teacher and performer! A reference to all clarinet players and teachers! I would say this is a very experiencing masterclass, as I learned a lot through this video. It's a great opportunity to be able to study with a great teacher when you live in a different place. I love that I can learn from one of the greats on my own time. Good advice and tips from one of the finest clarinettists and clarinet teachers living today. Note that this is aimed at advanced students or semi-proffesional players and is not suitable for beginners. Neidich's MasterClass Series are fantastic!! I own all of them, and they are an education in themselves. His Fundamental video discusses how to voice notes, practice harmonics, and other important aspects of Clarinet playing. Neidich is a great teacher both in person, and in this series. J'ai acheté plusieurs vidéos de clarinette et étant un amateur cela m'aide à progresser dans ma pratique instrumentale! I consider myself a lucky person having had the chance of being instructed by Charles Neidich this way for years! 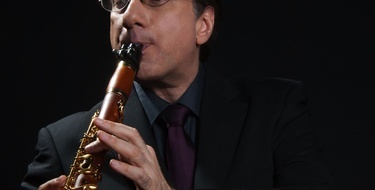 He marvellously demonstrates highly complex clarinet matters in a very pleasant,individual, and understandable way. His instructions might boost sound production remarkably - especially for intermediate students. The video is always inviting to imitate, though a tiny central melody that guides you through the chapters or is the lasting "endproduct" is missing. All in all, there might certainly be only one better method of clarinet-tutoring - that is face-to-face with such an expert. An excellent guide for beginners and professionals alike. Very useful! I purchased all three fundamental classes on PWP and enjoyed each one immensely.